How do I add holiday hours? 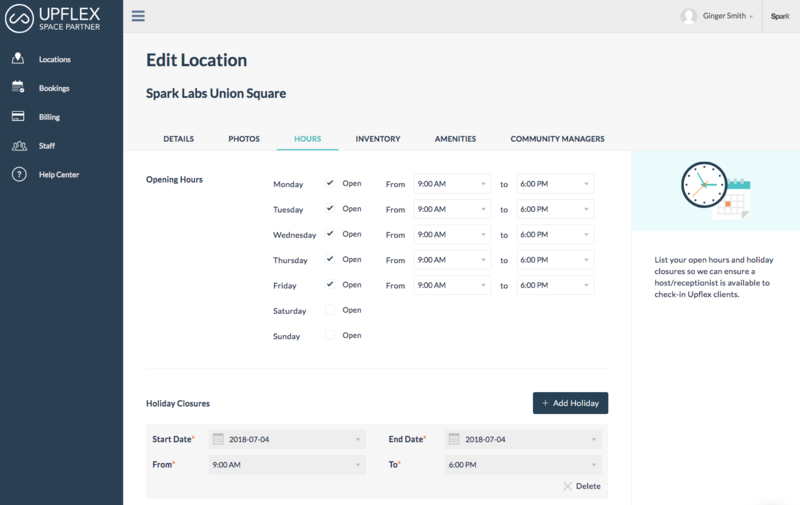 From the Space Partner Portal, click the Location Name you want to add Holiday closures for. Then go to the Hours page. To add a new Holiday Closure, click the Add Holiday button. Enter the Start Date and End Date of the holiday, as well as the times your space will be closed. When finished, click Continue to save your holiday closure.